We're proud to provide services to our friends in Education. Annual Fund’s 25th Anniversary Campaign. 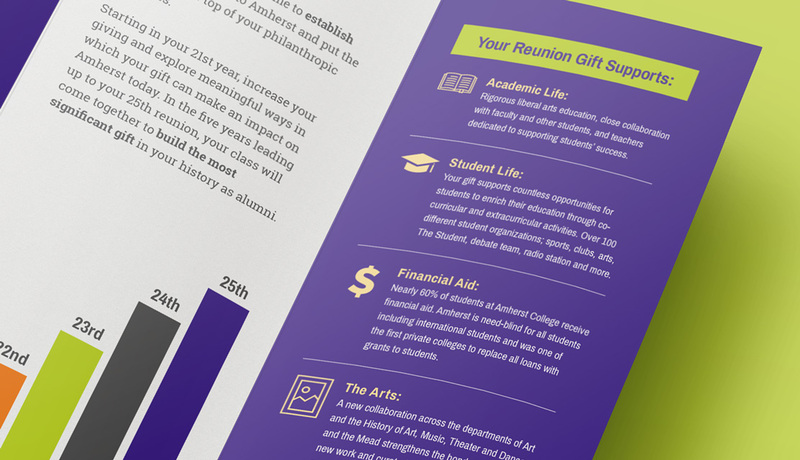 The Advancement Department of Amherst College needed an updated brochure to support their efforts of encouraging donations to the Annual Fund’s 25th Anniversary Program campaign. 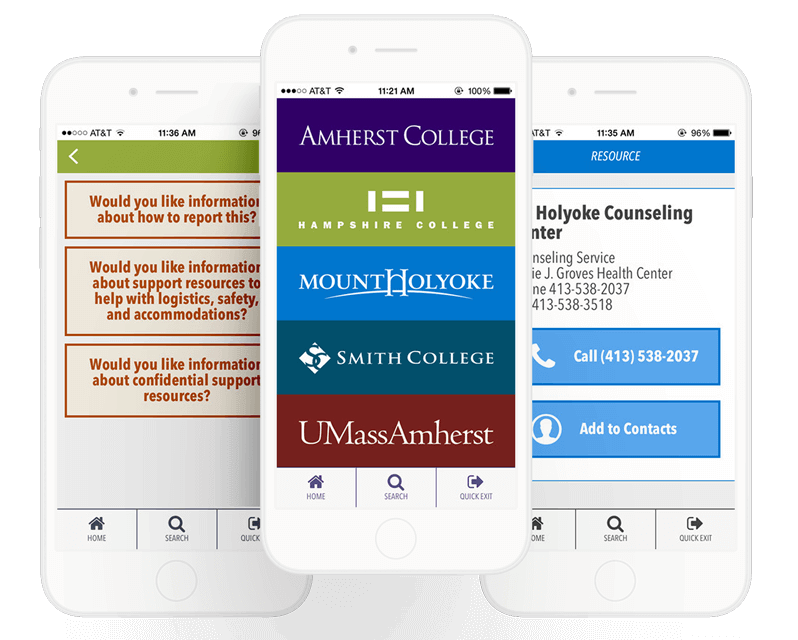 Last Call Media was excited to build upon our technical experience migrating Amherst to Drupal and in building the Title IX iOS App with a project that could showcase our marketing strategy and design talents. The twenty-fifth anniversary year is an important one for advancement activities. 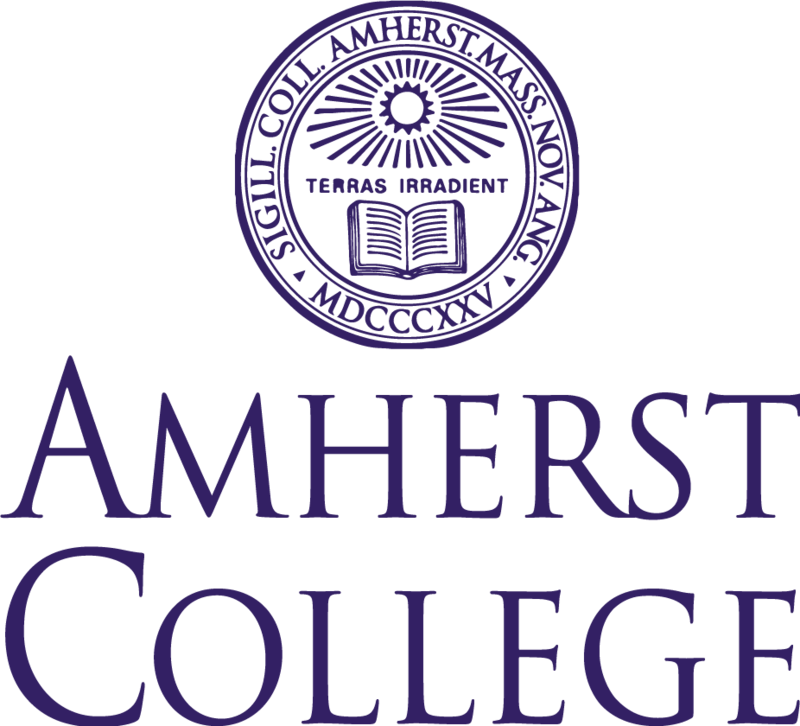 Alumni have generally attained career and financial stability by this time, and it is an important moment in which to encourage a lifetime habit of giving to Amherst College. Amherst needed an accessible and compelling visual that would explain a complicated funding program. 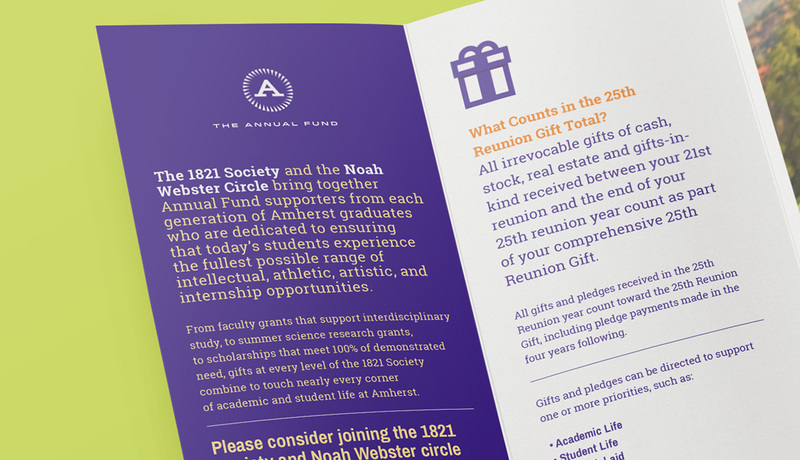 Working within existing guidelines and style templates, we worked with the Annual Fund to build a tri-fold brochure that plainly communicated the benefits and procedures of giving during the five years leading up to and including an alumnus’ twenty-fifth anniversary reunion year. 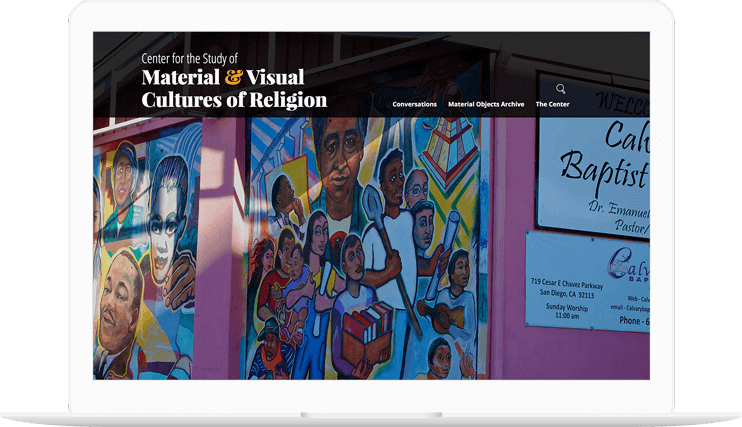 Staff reported that the leave-behind brochure was incredibly helpful for both their volunteers and donors, and twenty-fifth anniversary giving broke fundraising targets and records in 2015 and 2016. 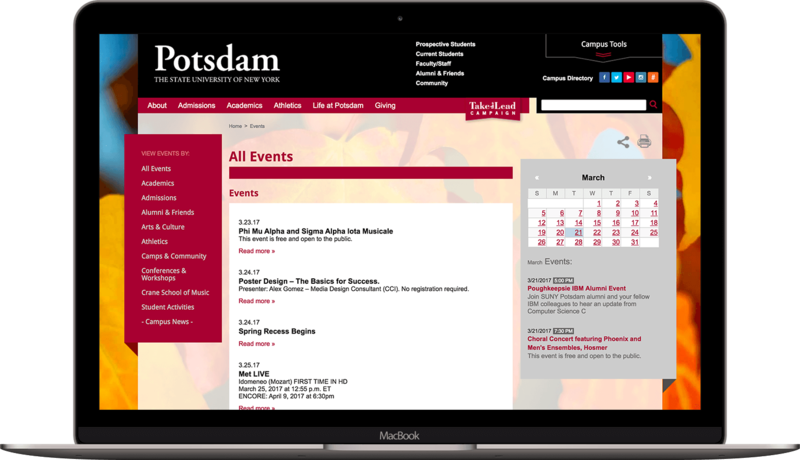 Modern site design, historic content. 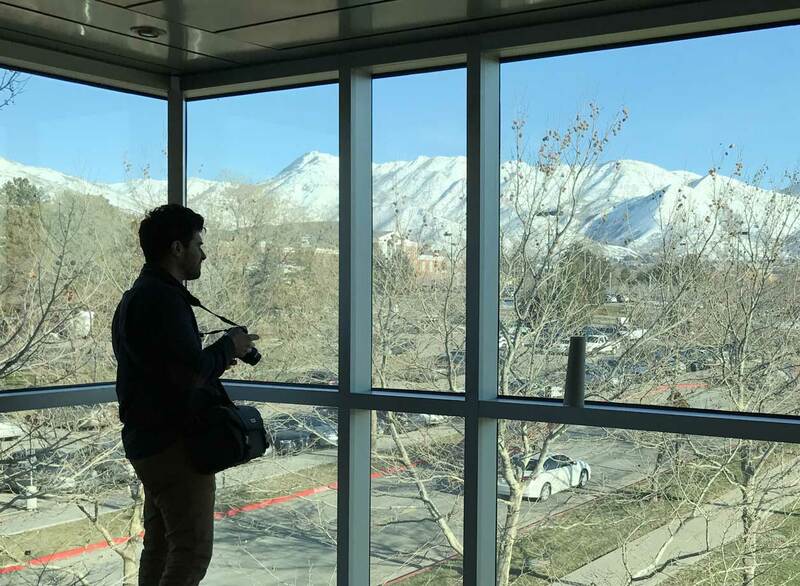 Keeping status as a center of academic arts excellence. 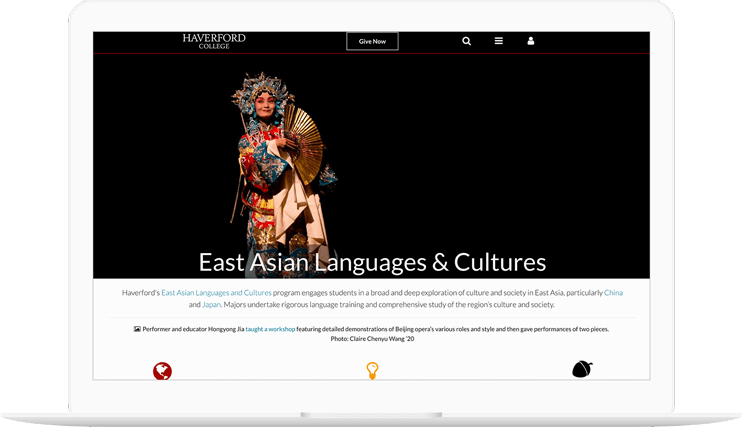 The Yale Department of the History of Art sought a design and technical implementation partner to assist with the redesign of their website. 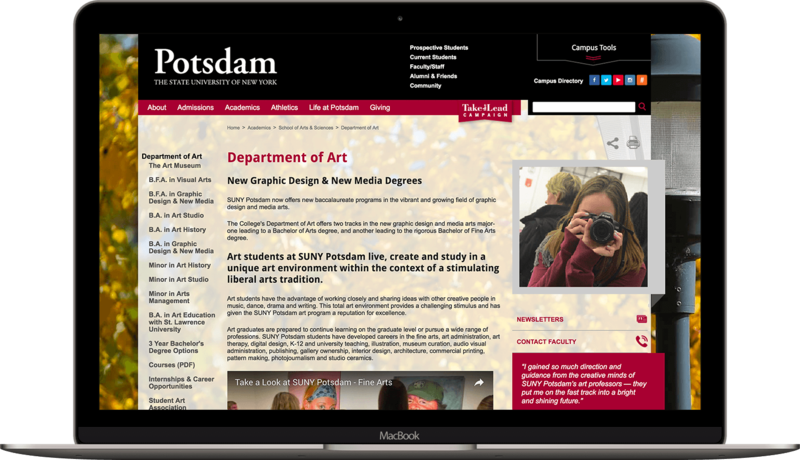 The department wanted a more updated online presence that would remain aligned with their status as a center of academic arts excellence. 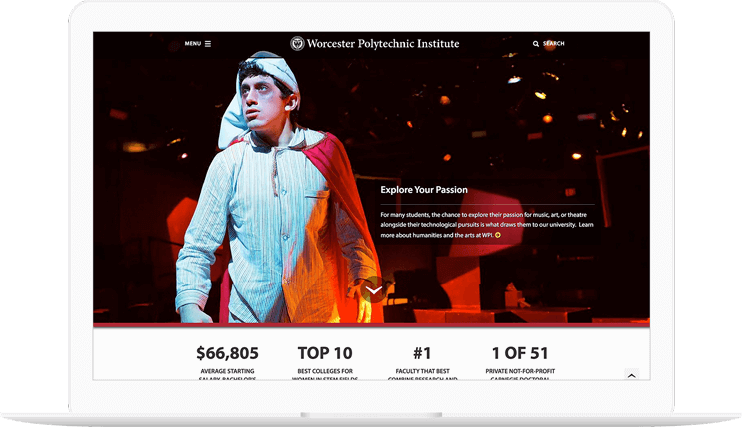 The team at Yale was great to work with because they were very engaged in the process. 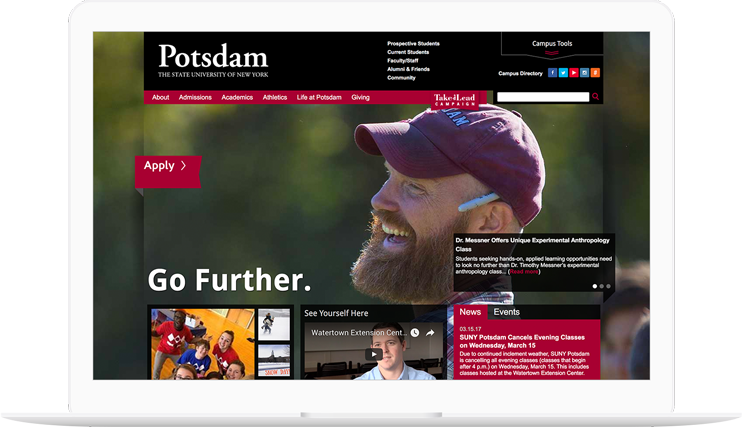 Last Call Media brought expertise in user experience, user interface, and design to the table. 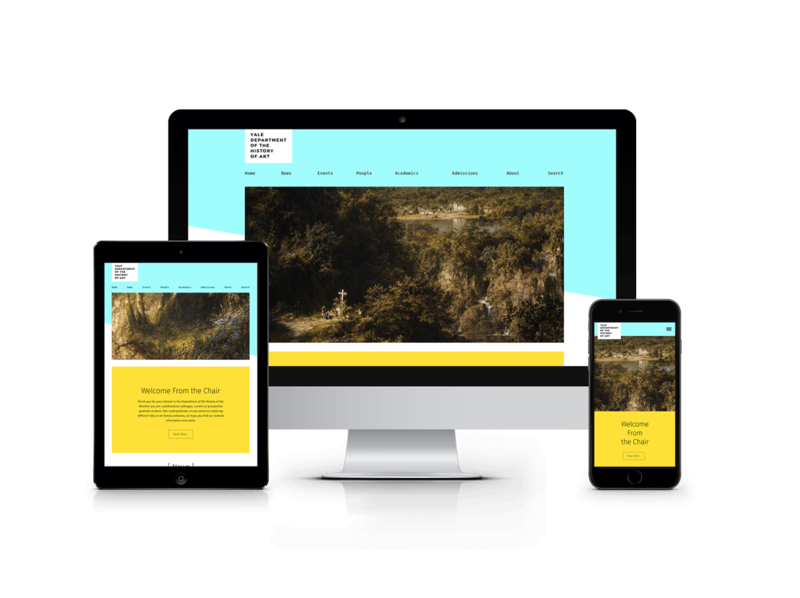 We started with some proposed changes to the information architecture and user experience aspects of the site, and the feedback we received informed the work that followed. 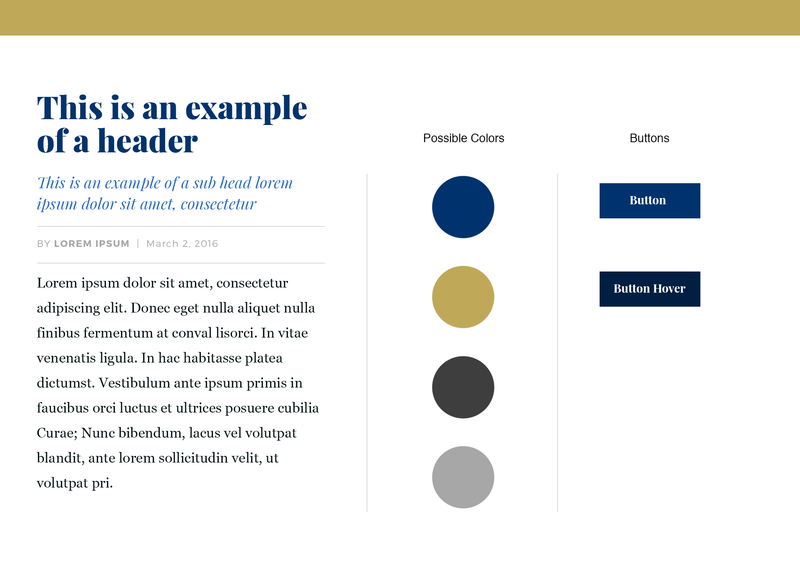 We offered three options of style tiles at the outset of the design process, and we were pretty excited when the Department chose the bold, modern look. 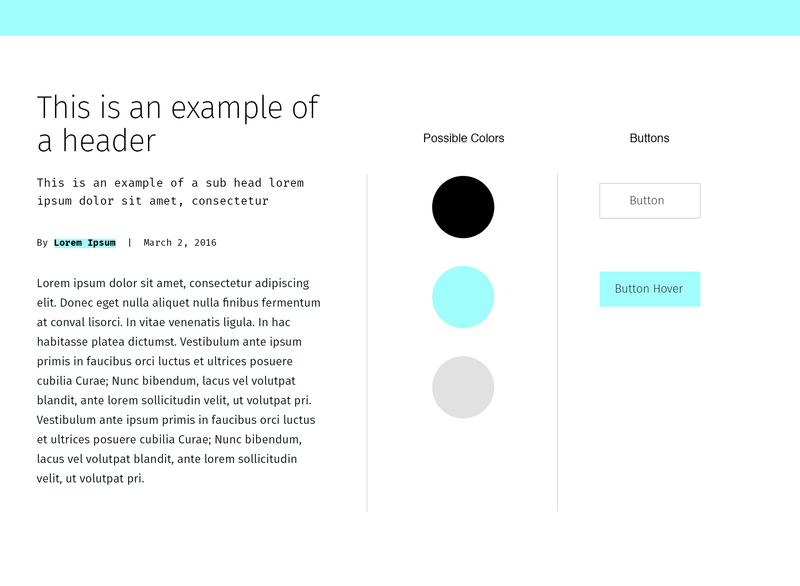 The implementation of the new design consisted of developing a custom template. 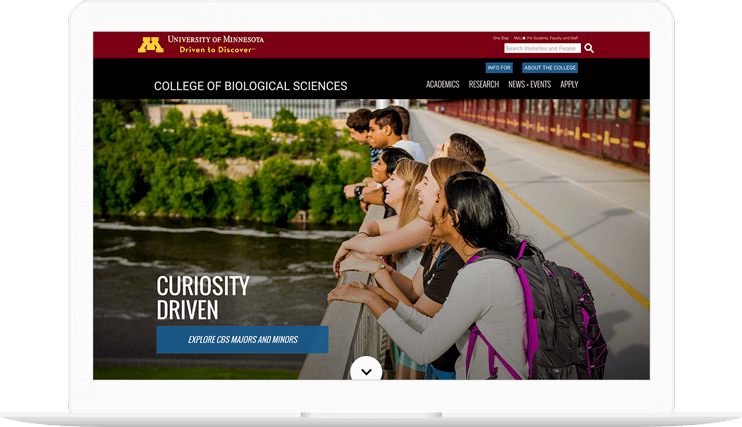 The design effort was focused on the homepage and a few key landing pages. 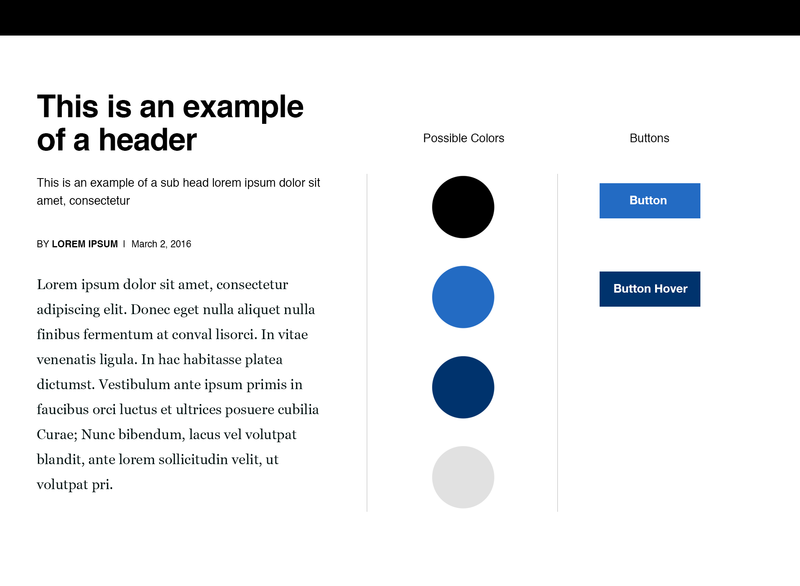 After applying the new styles to the existing content, a few minor tweaks were handled by the LCM development team to enhance the remaining pages. 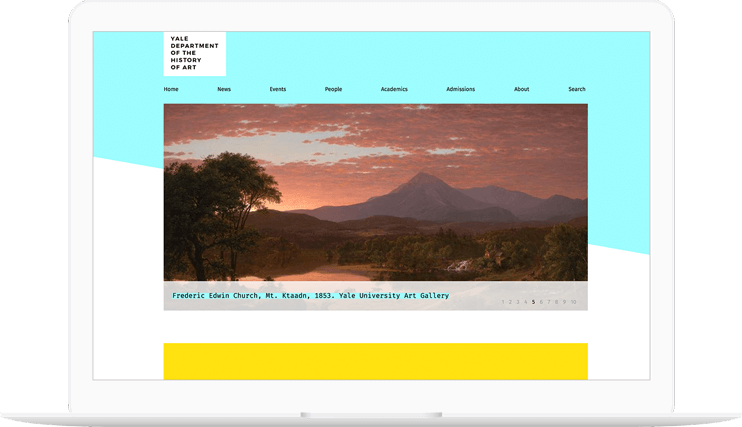 We created a modernized Art History website that was uncompromisingly “cool,” while maintaining a clean backdrop to showcase esteemed works of art, respected artists, and notable news and events out of a well-known Yale institution.